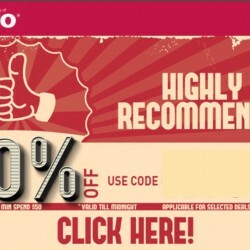 A similar concept as Groupon, Deals Ensogo is also great for finding bargains on dining, travel and goods deals. I would say Deals Ensogo has quite a wide range of IT products as well as luxury products. You can shop both on the website or via app, and sometimes there are app exclusive discounts. I keep myself updated on their coupon codes at BQ.sg and it helps me to save further when I get a code that is applicable to my deal. I particularly like the dining and beauty deals at Deals Ensogo. 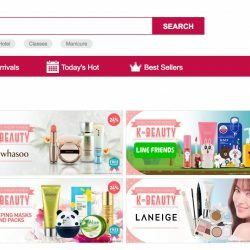 Save up to 35% off when you purchase Korean Beauty Products from Deal.com.sg! Get another 12% off with this coupon code from now till 25 May 2016. 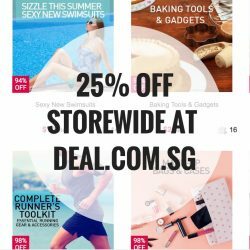 Grab this deal to save 25% on your purchases at Deal.com.sg now! This coupon code is valid till 30 June 2016 and on deals from International Sellers. Get your K Beauty products, furniture/home accessories, fashion, electronics products and more now! Spend $20 at Deal.com.sg and get $5 off your first order with this coupon code! Shop for fashion, beauty, baby & maternity, electronics & appliances, furniture & home decor and more. Offer is valid for a limited time only! 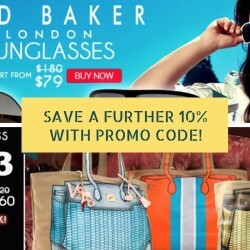 Shop at Deal.com.sg for Ted Baker sunglasses and V°73 handbags and save up to 56% off! On top of this, now you can save a further 10% with this promo code! Grab your fashion accessories and up your style now! Celebrate the new year by indulging in a spa treatment or a new hairstyle! Or engage in a new activity with your friends or kids! 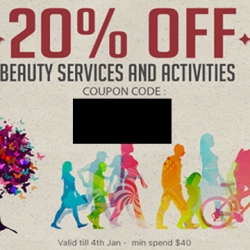 Get 20% off beauty services and activities at Deal.com.sg from now till 4 January 2016, with min. spend of $40. Double 12 at Deal.com.sg! Get extra 20% off selected deals, the promotion is only valid today! Free delivery is provided if you purchase $70 and above. Get electronics, home appliances or indulge in buffets and spa treatments at further discounts now! 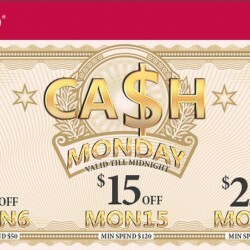 Cyber Monday continues at Deal.com.sg for one more day! Get extra 25% off beauty services and activities and 10% off sitewide till end of today! Free delivery is provided if you purchase $70 and above. Get electronics, home appliances or indulge in buffets and spa treatments at further discounts now! 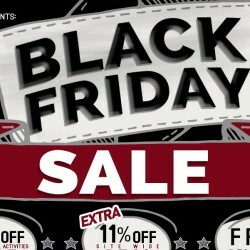 Get extra 25% off beauty services and activities and 11% off sitewide at Deal.com.sg Black Friday Sale! Free delivery is provided if you purchase $70 and above. Get iPhones, electronics, home appliances or indulge in buffets and spa treatments at further discounts now! Get extra 25% off beauty services and activities and 11% off sitewide at Deal.com.sg Pre Black Friday Sale! Free delivery is provided if you purchase $70 and above. Get iPhones, electronics, home appliances or indulge in buffets and spa treatments at further discounts now! 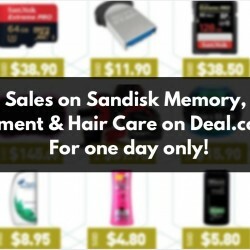 For today only (20 November 2015), get an additional 10% off Deal.com.sg's Super Sales on Sandisk memory, fitness equipment and supplements, and hair care products! 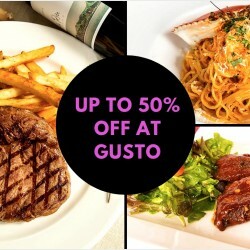 Great for gathering with friends or a relaxing night out with your loved ones, Gusto by Alfresco Gusto has a wide array of modern Italian fare such as Crab Meat Pasta, Smoked Duck with Foie Gras, Chicken Roulade, Black Angus Beef Ribs and many more. Now you can grab this offer at Deal.com.sg for 45% off a $40 cash voucher or 50% off a $60 cash voucher! Voucher is valid till 30 November 2015. 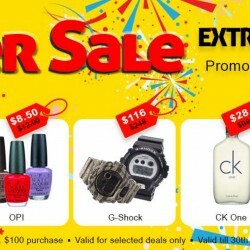 Deal.com.sg is not going to miss out this special online shopping festival. On 11 Nov 2015, deal.com.sg sets up a special event page that offers everything at S$11! Must buys include Huggies Diapers, Innisfree Mask, Beauty services and many more. 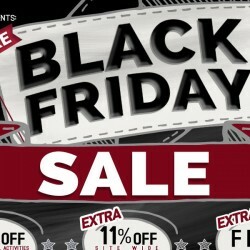 Also enjoy extra 11% off selected deals with a coupon code! This is a once in a year event, do not miss it! till 30 Oct 2015 Deal.com.sg: October Special Promotion — 10% OFF Sitewide! 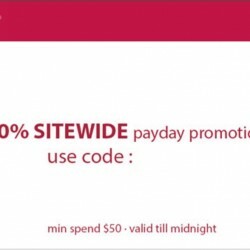 Deal.com.sg is giving a 10% OFF Sitewide coupon discount till 30 Oct 2015! Min. purchase of $100. Dun miss this promotion! Use the coupon code Click to show coupon when checking out. Valid till 30 Oct 2015 with min. purchase of S$100. 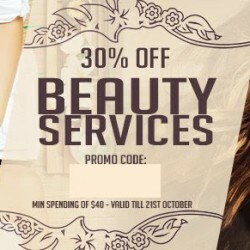 Deal.com.sg: 30% OFF Beauty Services for 3 Days! Thinking of pampering yourself with a spa treatment or a mani-pedi session? Dun miss this offer from deal.com.sg! From today till 21 October 2015, you will get 30% off all of their already discounted beauty deals. Book them now! Learn a new skill or have fun with friends and family with a new activity! 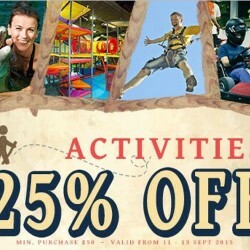 Deal.com.sg is having 25% off activities here till 16 October 2015, 2359hrs! Check them out now! Deal.com.sg: Best Hotel Buffet Deals Limited Time Only! 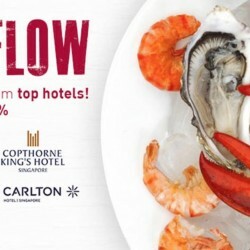 If you love buffets, dun miss these seafood/international hotel buffet deals at Deal.com.sg where you can get up to 40% off the usual rate! Grab them now and have a feast with your family and friends! September Payday sale is on from now till 30th September 2015. The coupon code is valid for all deals with a min. spend of $30. Check out the SQ fare to Hong Kong, it is $170 + taxes of $110 =$280 per pax only before a further 10% off the base fare with the coupon code! (T&Cs apply). Dun miss this deal! Till 30 Sep 2015 Deal.com.sg: SQ Promo Fares + 10% Off Coupon Code for All Deals! Grab the SQ promotional fares to Hong Kong, Bangkok, Guangzhou from deal.com.sg by 30 September 2015 and enjoy a further 10% off with their latest coupon code! The coupon code is also valid for all other deals with a min. spend of $30. The SQ fare to Hong Kong is $170 + taxes of $110 =$280 per pax only before a further 10% off the base fare with the coupon code! (T&Cs apply). Dun miss this deal! Till 25 Sep 2015 Deal.com.sg: 25% OFF Beauty Services for 2 Days! Selamat Hari Raya Haji to our Muslim readers! Thinking of pampering yourself with a spa treatment or a mani-pedi session? Dun miss this offer from deal.com.sg! From today till 25 September 2015, you will get 25% off all of their already discounted beauty deals. Book them now! 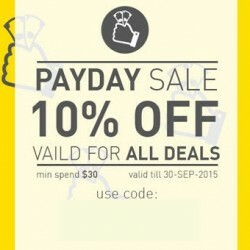 18 Sep 2015 Deal.com.sg: 10% OFF Sitewide! Deal.com.sg has launched their new website! To celebrate, they are giving a 10% OFF Sitewide coupon discount till 18 September 2015! Min. purchase of $10. Dun miss this promotion! Enjoy an extra 25% OFF at Deal.com.sg for all activities related deals, including iFly, Kart Rides, paintball etc. The deal is valid from 11 to 13 Sept 2015 only. Today only! Deals.com.sg: 10% off Sitewide! Get 10% off Sitewide at Deals.com.sg just for today! Minimum $50 spend, valid till midnight of 31 August 2015. Get 10% off Highly Recommended Deals at Deals.com.sg just for today! Minimum $40 spend, valid till midnight of 27 August 2015. 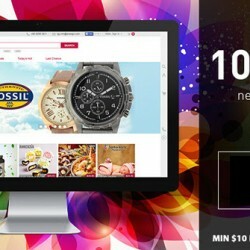 Search for Ensogo latest coupon codes at BQ.sg. During the payment stage of the checkout process, enter the coupon code (e.g. 'likeensogo') followed by the 'Apply' button on the right.